"My carpet is very old and had not been cleaned in years. There were even some very deep stains that had survived previous cleanings. NF Carpet Care came to the rescue and I could not be happier. Great customer service and attention to detail. My carpet looks amazing." 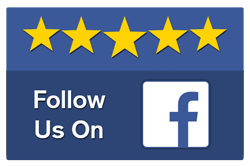 "This is my 2nd time using NF cleaners. I just have to say I love love them! . Prices are competitive, the 2 men working are very very nice, and very efficient. I make it a point to have my carpets cleaned twice a year. I highly recommend taking shoes off at the door to keep the carpet kept clean fyi. You won't be disappointed. They showed up in the time frame quoted as well. It was a hot day, don't forget to offer cold bottled water. They're work is arduous." "We had NF Carpet Care come out to clean a carpet from our camping trailer that smelled like a stinky sponge. My husband had tried to power wash it himself and then sun dry it - but with no luck. We were about to toss it but someone recommended NF to get it cleaned. It looks brand new and smells great now. We're stoked they got the smell out and we didn't have to replace it." "NF Carpet Care has been cleaning our office suite carpets for years. Not only do they provide top level professionalism but they are fully insured and bonded for our building. They did such a good job, they clean our home carpets too. I will be working to have them clean our tile floors too now. 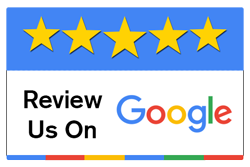 I highly recommend them for all your cleaning needs and working with the scheduling team and billing department is as easy as can be. They are on top of it. 5 Stars is not enough." "Holy Customer Service, Batman! 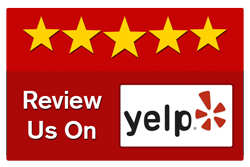 NF Carpet Care blew me away with the unbelievable quality of service and accommodation of my time constraints. We were moving out of our rental and the carpets didn't look as good as I hoped after taking the furniture out. When NF Carpet Care was finished they looked as good as new! I was truly amazed! I would never even look at another carpet company, I am completely sold on them as I have seen them make miracles! In addition to the carpet care, when I asked Nathan if he could help me move my cat tree out of my house, he not only helped me, but got tools out of the van and dismantled it so I could put it in my car. I hope he doesn't mind that I am telling the world that he helped me so greatly with something completely unrelated to carpet care, but his generosity of time and effort showed me NF's total investment in customer service and a truly kind heart. Wow! Call these guys, quick!"